Nestled comfortably into the heart of Shreveport, the quaint home at 128 Charles Avenue stands at a little of 1,600 square feet. The neat landscaping, light brick, charming red shutters, and the matching front door establish an elegant curb appeal. Standing at 1,621 square feet, 128 Charles Avenue is home to a comfortable three bedrooms and one full bathroom. It also entertains a bonus room, a covered patio, a large fenced-in backyard, and a storage shed. Housing all of the necessities for a comfortable lifestyle, this is a picture-perfect, single-level home for a new Shreveport resident. As each guest opens the front door, the living room is the first space to welcome them. The eye is immediately drawn to the gorgeous white built-ins and their trendy blue shelving accents. The white walls and recessed lighting keep the space simple and chic, and the large window provides a lovely view of the front landscaping. To top it all off, the wood floors create a practical yet durable space. Whether you’re hosting a party or catching up on your favorite TV show, this is the ideal living room. 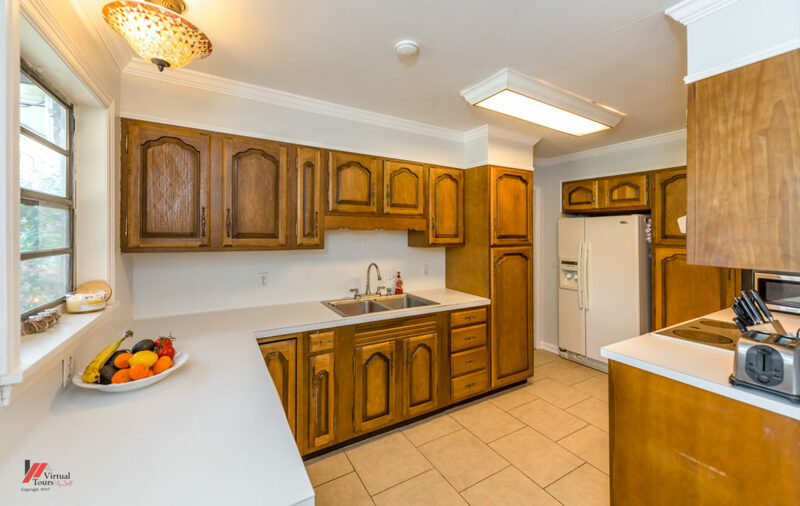 The large kitchen is filled to the brim with countertop and cabinet storage space. The clean, white walls help balance the richness of the cabinets, and leave endless possibilities for backsplash creativity. There is plenty of light to fill the space by way of the two light fixtures and window above the counter. There is also a dining area just off the kitchen space, making this an eat-in kitchen. From meal prep to cookie baking, this kitchen is ready to be enjoyed to its fullest potential. 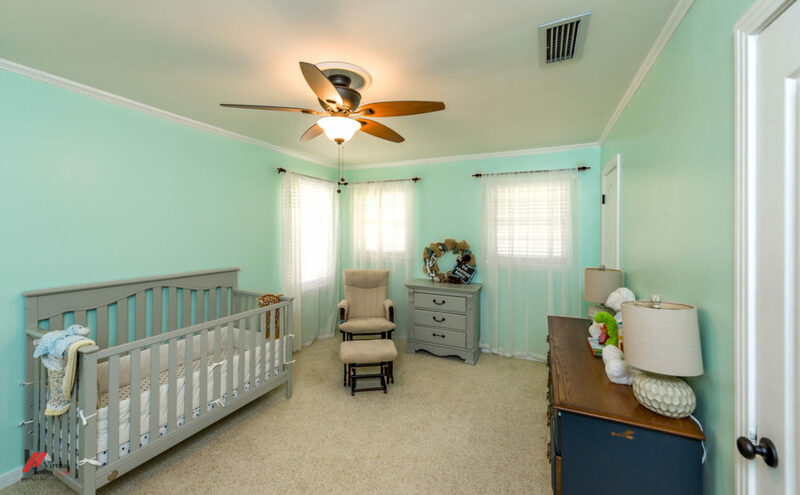 While this room is currently outfitted as a nursery, it is actually a sizeable master bedroom. The stylish ceiling fan adds a warm glow to the cool tones of the walls. Carpeted floors instill a homey feel to the space, and those two closets are perfect for practical storage. This room is just the place for total relaxation, and a great space to make all your own. 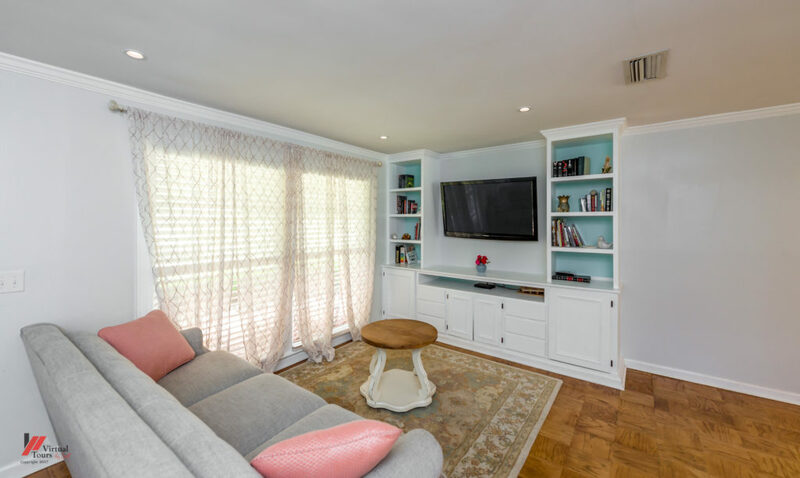 What was once a carport has been transformed into a lovely bonus room. While it is currently decorated as a bedroom, this space would also make a great additional sitting room, home office, or even a playroom. 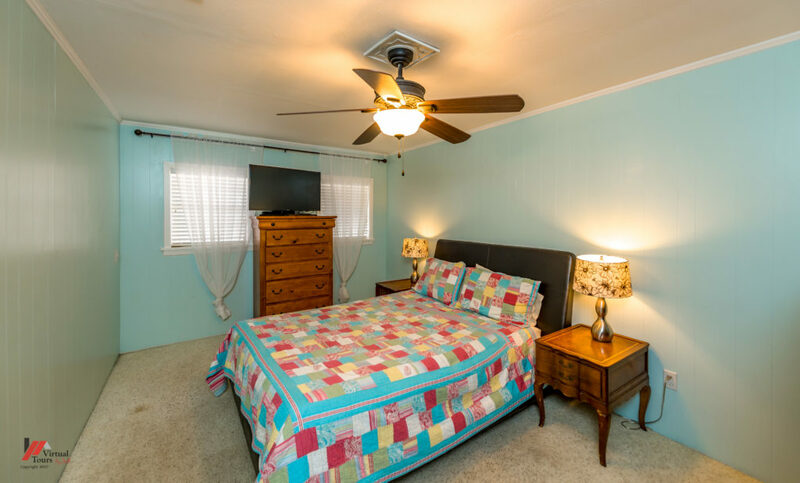 The light blue, panelled walls add vibrance and texture to the room, and the decorative ceiling fan adds a touch of class. The large window and cozy carpeting also help turn this room into a go-to relaxation spot. A: It’s full of kids and very safe. A: I grew up here. Whether you have a growing family or a growing desire to learn, education is important. The greater Shreveport community offers opportunities from childcare programs through college courses. In fact, if you are a parent of a child under the standard school age, there are plenty of daycare facilities to choose from. 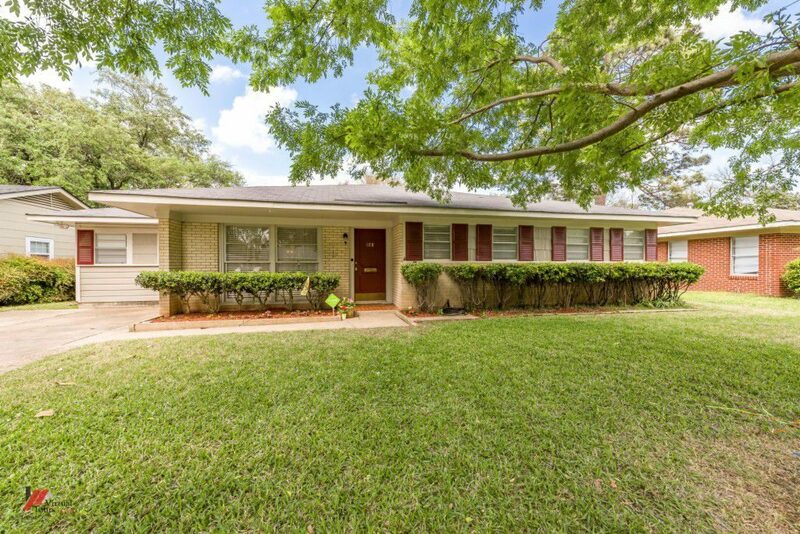 School-aged students who live at 128 Charles Avenue can expect to attend one of these schools in the Caddo Parish school district: South Highland Elementary Magnet School, Caddo Middle School, or Caddo Magnet High School. For continued education, there are also eight colleges within a 10 mile drive from the heart of Shreveport. One of the most notable schools is Louisiana State University Shreveport - LSUS. When it comes to education, Shreveport has a lot to offer. If you are looking for that perfect home or looking to sell that special home, call Holloway Home Group agent Michael Jordan at (318) 564-7943 or email michaeljordanhhg@gmail.com. Holloway Home Group can also help you buy another house or determine your home’s value. Don’t wait – call us today: (318) 213-1555. For more updates on new listings or real estate activity, Follow us on Instagram!